Quite a hike! But well worth it, with sunset casting a nice soft light onto the sea to highlight the tranquil waves and sky. 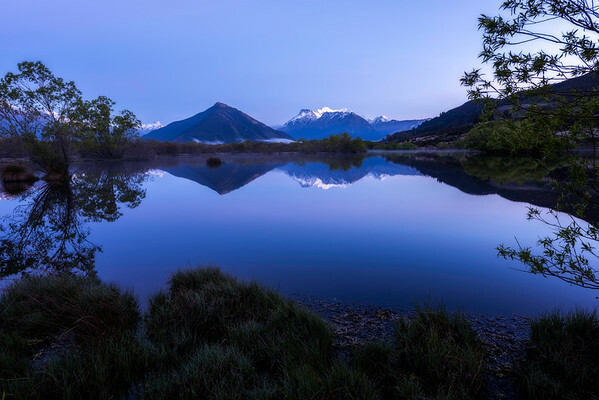 Mountains Of Glenorchy Road - New Zealand There are not many roads that I know of as scenic as that from going to Glenorchy from Queenstown. 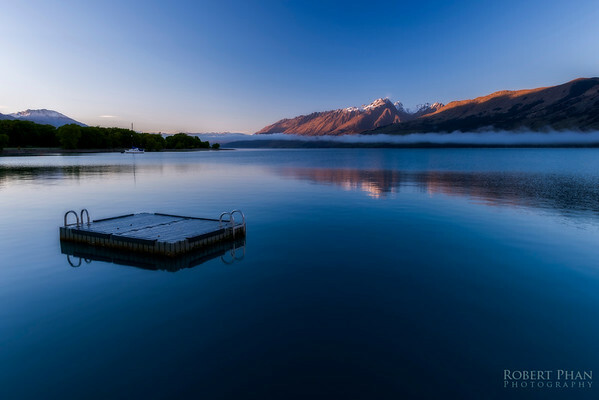 Set in the mountainside along lake Wakatipu, you are exposed to some of the most amazing mountainscapes known to man. There are so many stunning landscapes in fact you could say it was a landscape overload! 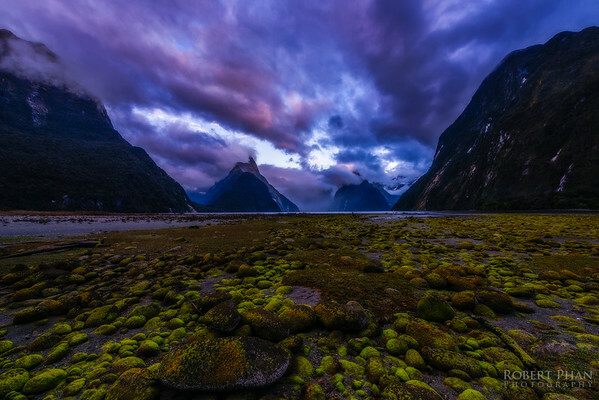 Sunset at Mitre Peak - Milford Sound - New Zealand Milford Sound, an unofficial 8th wonder of the world. There is no wonder this title has been bestowed upon this magical place, with great mountains rising out of the river and waterfalls formed overnight after rain (rain predominates this region for most of the year), it is truly a spectacle to be visited. 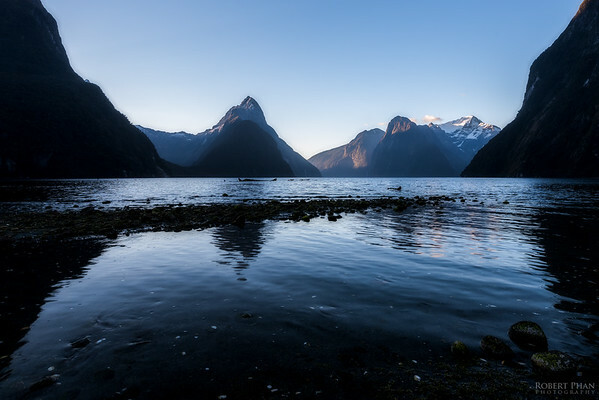 Milford Sound Sunset - New Zealand Relatively peaceful waters made the shimmering reflection quite special in my mind, giving the place an almost surreal feel. 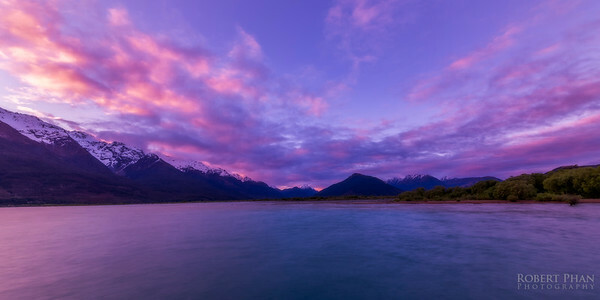 It's very rare to see Milford Sound's skies clear, truly a rare capture indeed! 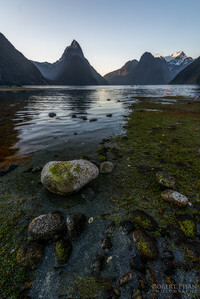 Mitre Peak Rising - Milford Sound Sunrise - New Zealand Milford Sound, an unofficial 8th wonder of the world. There is no wonder this title has been bestowed upon this magical place, with great mountains rising out of the river and waterfalls formed overnight after rain (rain predominates this region for most of the year), it is truly a spectacle to be visited. On this morning, clouds were already rolling in, with the sunrise together with the clouds casting an odd colour over the area. 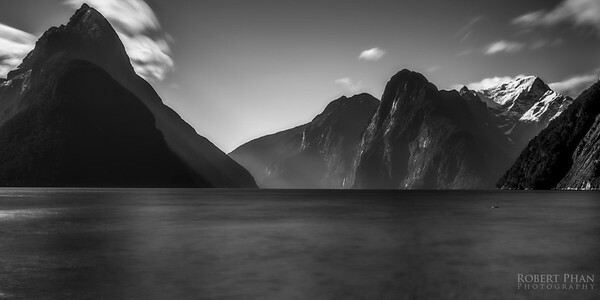 The Mighty Mitre Peak - Milford Sound Milford Sound, an unofficial 8th wonder of the world. There is no wonder this title has been bestowed upon this magical place, with great mountains rising out of the river and waterfalls formed overnight after rain (rain predominates this region for most of the year), it is truly a spectacle to be visited. 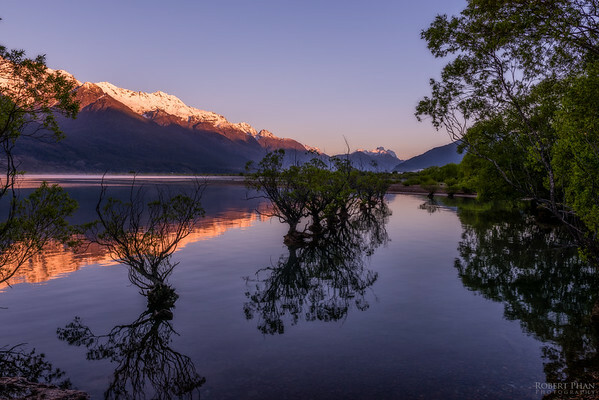 The beautiful colours of Glenorchy are revealed during sunrise. Needing to wake up at 4:30am for this sunrise, and having been deprived of sleep due to the hike a day earlier, I was hoping this would be a glorious sunrise, and I wasn't disappointed! 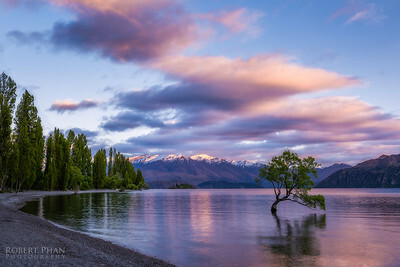 Lone Tree Sunrise - Wanaka - New Zealand Wakanka is undoubtedly one of the most beautiful places in New Zealand. Made famous by the beautiful Lake Wanaka and its mountains visible in this picture, it is a well developed urban sprawl. This sunrise was particularly nice, with rich colours revealing themselves to us. 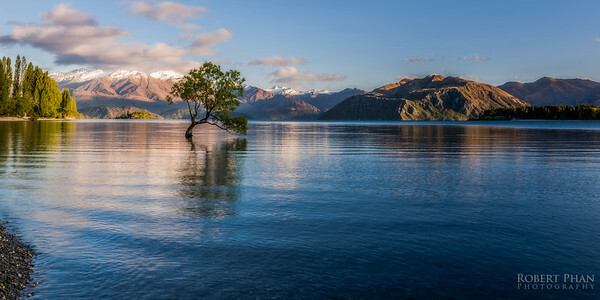 The Lone Tree - Wanaka Sunrise - New Zealand Wakanka is undoubtedly one of the most beautiful places in New Zealand. 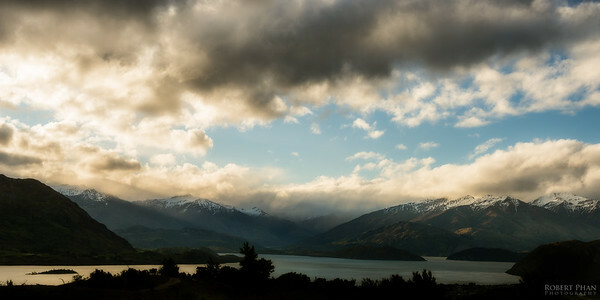 Made famous by the beautiful Lake Wanaka and its mountains visible in this picture, it is a well developed urban sprawl. This sunrise was particularly nice, with rich colours revealing themselves to us. 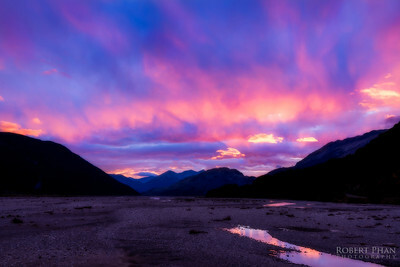 Wanaka Summit Sunset - New Zealand Wakanka is undoubtedly one of the most beautiful places in New Zealand. 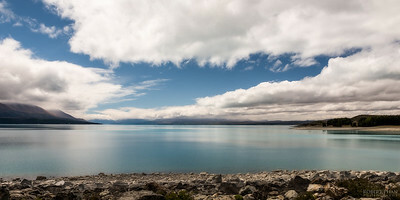 Made famous by the beautiful Lake Wanaka and its mountains visible in this picture, it is a well developed urban sprawl. Again another nice hike up the mountainside afforded stunning views across Lake Wanaka, the surrounding mountain range, with light rays breaking through the clouds to pierce the mountainside. 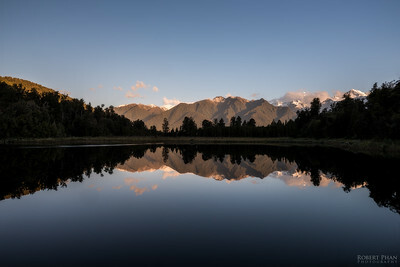 Reflections of Sunset - Lake Matheson - Fox Glacier Located in Fox Glacier, Lake Matheson was on this sunset a tranquil lake. Without a single gust of wind to disrupt the water, the lake became a mirror, allowing for incredible near perfect reflections of the mountains in the background. 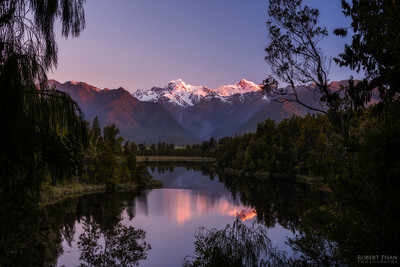 Sunsetting Mountains - Lake Matheson - Fox Glacier Located in Fox Glacier, Lake Matheson was on this sunset a tranquil lake. A gentle breeze had now started to develop. However, gentle enough that a reflection of the mountainside in the background can be seen in the lake. 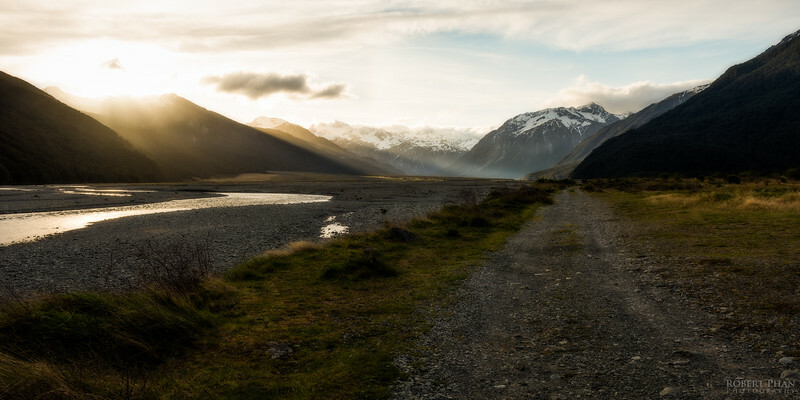 Into the distance - Sunset - Arthurs Pass - New Zealand Located in Arthurs Pass, I stumbled upon this sunset while driving to the nights accommodation. 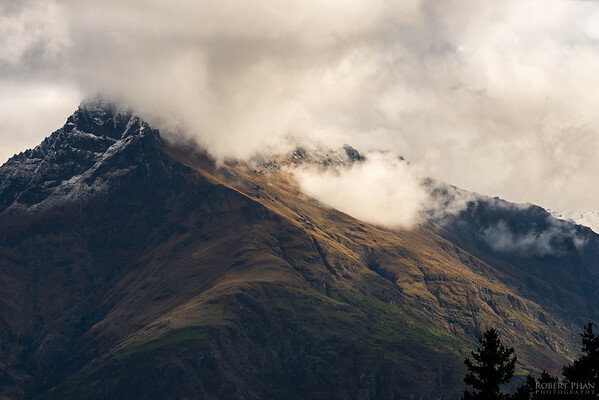 The sun had started to set below the mountains, and rays were breaking through the mountains and clouds, to create an amazing lit patch of land in the distance. 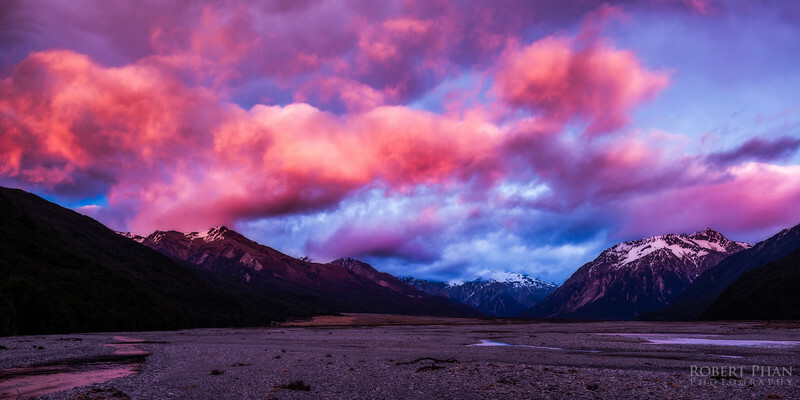 Bloom - Mount Arthur Sunrise - New Zealand An amazing sunrise, one of the most amazing i've witnessed. The colours in this sunrise were only present for a few minutes before it all faded into a mess of grey clouds. 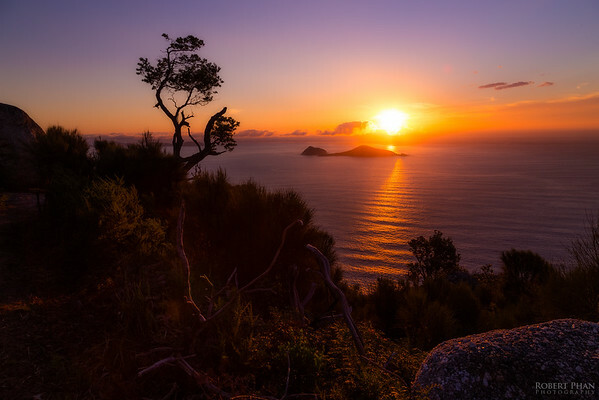 FIrerise - Mount Arthur Sunrise - New Zealand Bloom - Mount Arthur Sunrise - New Zealand An amazing sunrise, one of the most amazing i've witnessed. The colours in this sunrise were only present for a few minutes before it all faded into a mess of grey clouds. 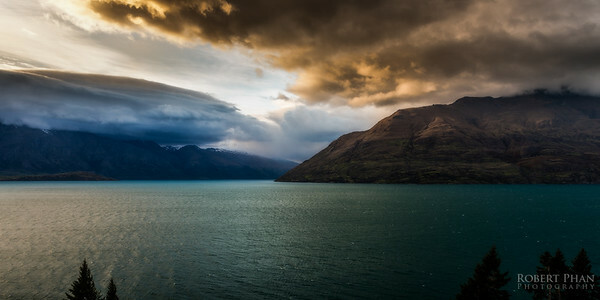 Somewhere in New Zealand, one of its many lakes and mountains that stretch for as far as the eye can see. The Remarkables - Queenstown - New Zealand Taken in the picturesque Queenstown, literally surrounded by a mountain range, on this morning when a storm was clearing from the previous night. Great smooth transition of colours in the clouds made it for quite a view! 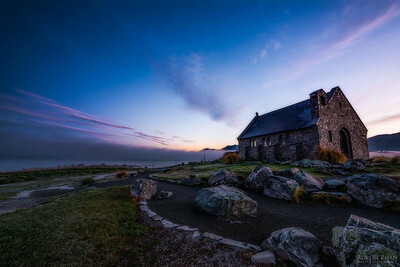 Lake Tekapo Church of Good Shepherd Sunrise - New Zealand Lake Tekapo on a freezing morning during sunrise. Clouds had rolled in, obscuring the usually stunning mountains in the background. 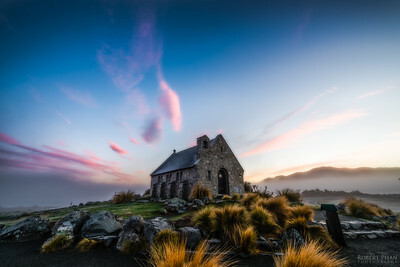 However, we were greeted with vibrant colours in the sky as the sun bounced off the clouds and church. The freeze was worth it.